When creating a book in FastPencil, the author platform will automatically optimize your book and e-book pages for each format you choose to publish using THEMES. Our writing tool allows unlimited images per chapter or section. 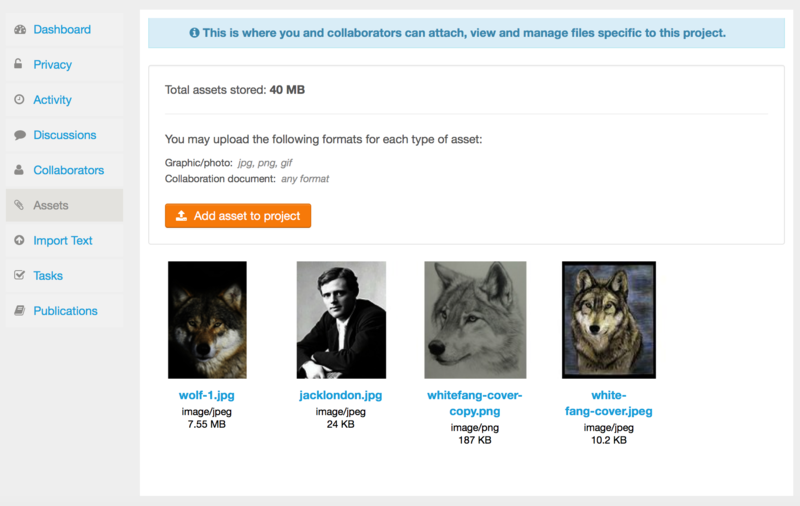 Authors can drag-and-drop each image individually or upload in bulk to the project using JPEG or PNG format. Step 1. From within your dashboard, project chapter or section, Click on the "Attach media file" icon. Upon selecting the “Attach Media File” button, the Attach Media File page view enables you to select existing assets or upload new assets and insert them into your project. Attach images, videos, and audio files to your project chapters, and they will appear in book formats that support them.